The pressure is on, and educators are feeling it more and more. Principals and school boards everywhere are requiring teachers to integrate technology into the classroom. Sometimes, the change is as simple as adding a computer class to the curriculum, other times it requires teachers to literally flip their entire lesson plan into a hi-tech beast! Although these flipped classrooms give students an edge, they may also give their teachers a headache! Don’t worry, I’m here to show you that whether you teach 2nd-grade math or high school biology there is a simple way to ‘techify’ your existing lesson plans. 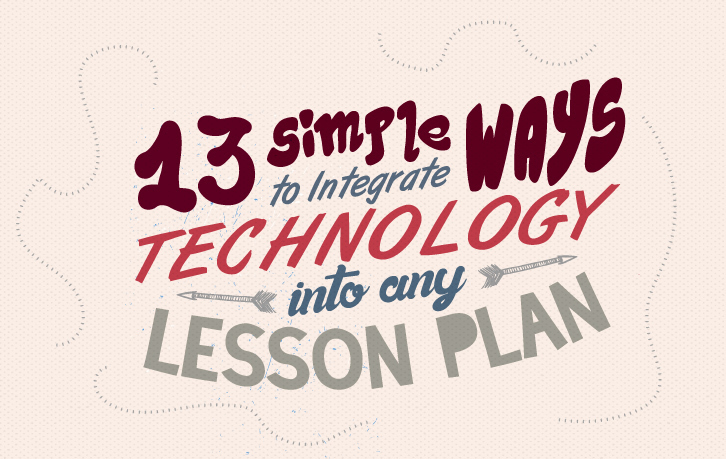 Sit back and check out these 13 ways to integrate technology into any lesson! 1. 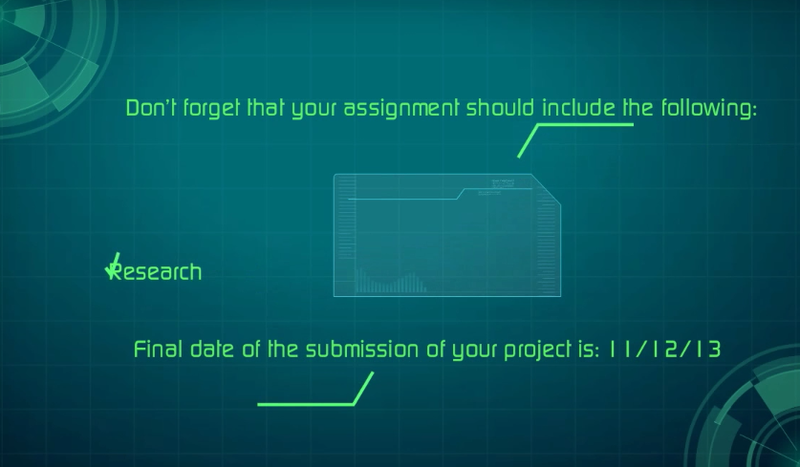 Mission Impossible Challenge – Present a challenge to your students with this super engaging “Mission impossible” Template, complete with spy music! All you do is add your own images and Text! 2. Skype an Expert – The ‘Live’ version of anything online is awesome. Simply get in touch with an expert in any field, (this can be a college professor, the local museum curator, or even a fellow teacher). Schedule a Live Skype or Zoom session where the students can ask the expert questions — in real-time. If you teach Literature you’re in luck, there is a website dedicated to connecting with authors — Skype an Author! 4. Fuzzy Image – You will need a camera or camera phone. Zoom in on an object until it becomes fuzzy or you can only see a small part of the total image. Print it out or project it onto a screen. Have students guess the mystery image as a lesson introduction. 5. Google Earth – This app is not limited to history or geography or environmental science; You can use it to show students where the pythagorean theorem was developed, or the actual location in China where ‘Kung Fu Panda’ learned his skills. Google Earth is a fun and really quick way to infuse some real-time, hi-tech into any lesson. 6. 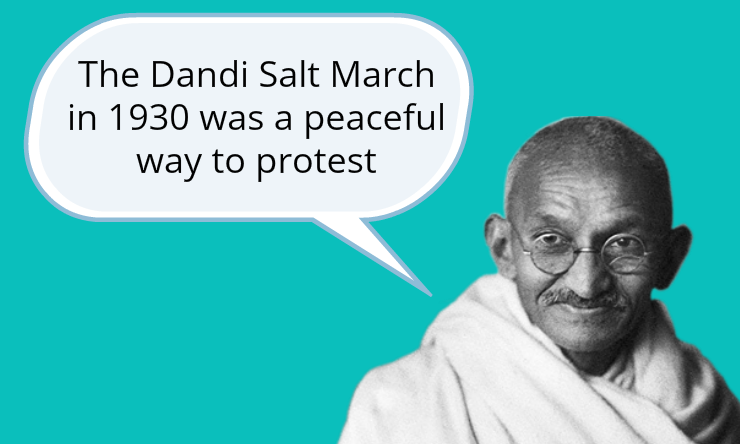 Interview A Scientist or Historical figure – Create a dialogue with a great leader in their field, such as Einstein, Gandhi, or Neil DeGrasse Tyson. This animated interview is very easy to set up using Powtoon. Simply upload an image and add a few speech bubbles. It’s pretty fun watching your teacher hang out with an ‘educational celebrity’. You ask questions and the answer is pre-made on each slide. Animated Interviews are also great for students with presentation anxiety because the slideshow guides them through each point. 7. 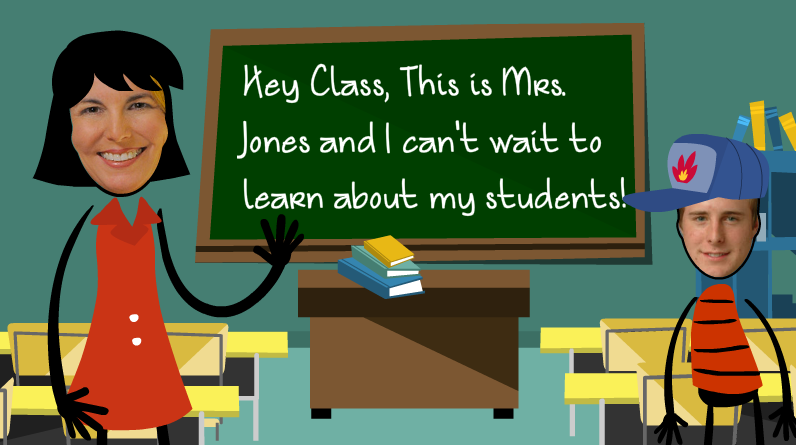 Mini Me Introductions!– Turn yourself or your students into cartoon versions of yourselves! Students will get a kick out of seeing themselves on screen with a giant head and a cartoon body. “Mini-Me” is especially useful for the beginning of the school year. 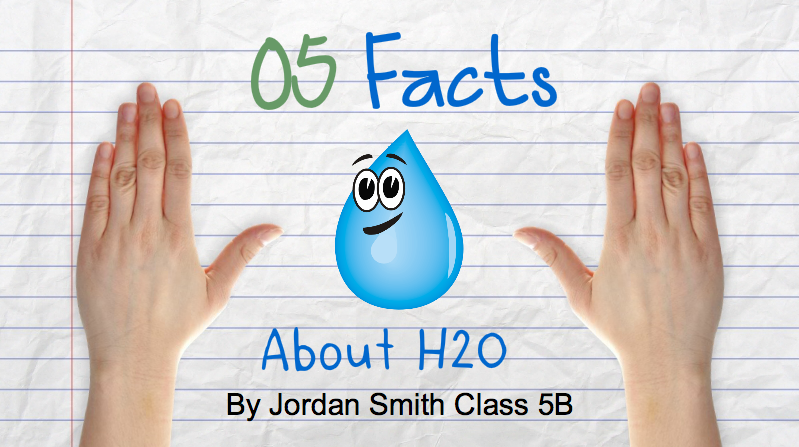 Your class can make animated videos or slideshows introducing themselves with key pointers, such as name, hobby and a cool fact they just learned! 7. Collaborative Class Blog – Set up a blog (WordPress, Blogger, Kidblog) for your class! Come up with a fun title with your students and create different categories based on your syllabus. For example, if you’re an English Teacher you can vote on a fun title like, “Class 7B’s Book Reading Blogorama!” Create a tab for each book you read like ‘Brother’s Grimm, The Giver, Macbeth, etc…’ Ask your students a question in class and have them write a short post either during the lesson or as a homework assignment. Have them publish it the blog and tag it into the appropriate category. 8. Make a Meme – Meme Generator! 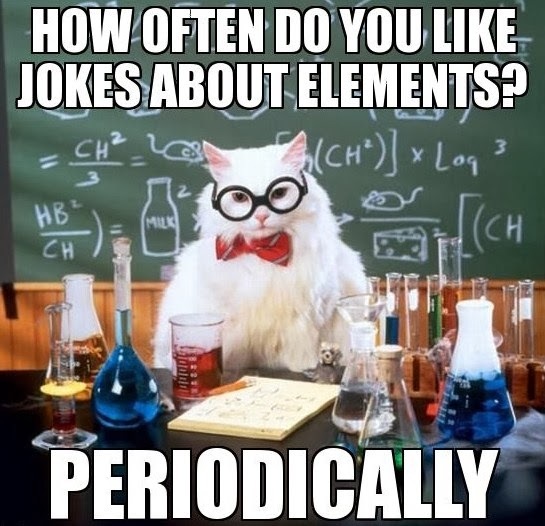 There are memes about everything from cats to chemistry, to cats teaching chemistry. Have your students pick an image or provide your own image and let them fill in the rest. Print them out and hang ‘em up! 9. Build My Website Project – Have your students build their own website based on course topics. For instance, if you teach History and you are learning about the Revolution – You can ask each student in the class to create a website covering 18th Century themes. i.e ‘18th Century Soldier’ (resource guides, food reviews, military fashion, Horses in Battle, etc…) or ‘Constitution Corner’ (covering political candidates, issues and formation of the US government) Or ‘18th Century Science’. 10. 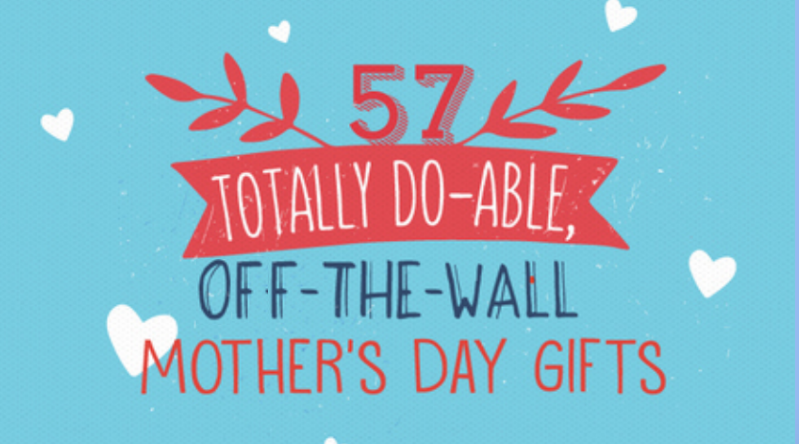 Slide for Each Day Project – This is on one of my favorites. Every day after your lesson have one student summarize the main takeaway from the class in one sentence. Take a picture (either of another student, a drawing in a textbook, or upload a relevant image) and add it to a Powtoon slide. Voila! At the end of the month, you have a student-made, collaborative slideshow of class accomplishments! 11. Tell an inside Joke – Create a 20-second animated video with a personalized joke: “What is Mrs. Johnson’s favorite drink?” Hot Chalk – olate! Yes, it’s cheesy, but jokes are a quick and fun way to get kids situated with the idea of animations and short videos. Have them each write a funny joke, funny phrase or inspiring quotation. 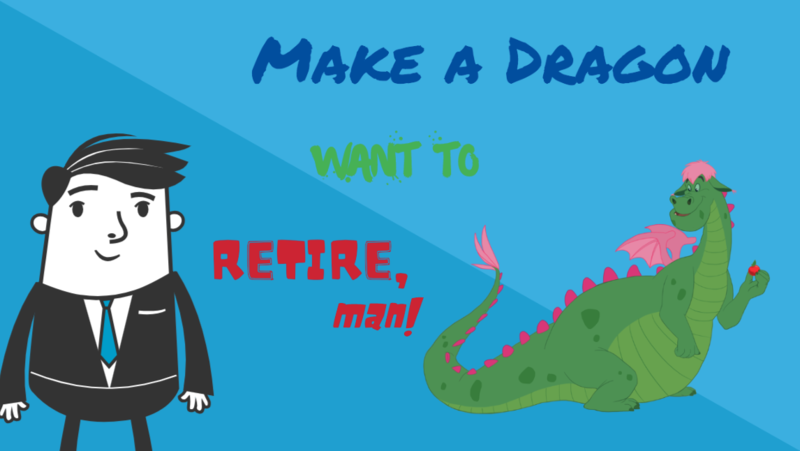 Check out this list of nerdy educational jokes and apply one to your class! 12.Lyric Video/Music Video – All students can relate to music. Have each student choose a short verse or chorus of a song they like, then have them change the lyrics to the topic of their choice. Here’s an example of “All about that Space” by science entertainer Coma Niddy. Students can use animated characters and on-screen lyrics if they don’t want to make live video. Here’s an example of Uptown Funk animated Lyric video. 13. Video Clips – This is a no brainer — Use BrainPOP, YouTube or TED to break up the monotony of class by showing a video that enriches your lesson or even a short video clip that will let out a giggle. If you are giving a presentation via slideshow, you can even insert a video into your presentation without any tech skills. There you have it! With minimal effort and a bit of creativity, you can easily integrate technology into any lesson plan. 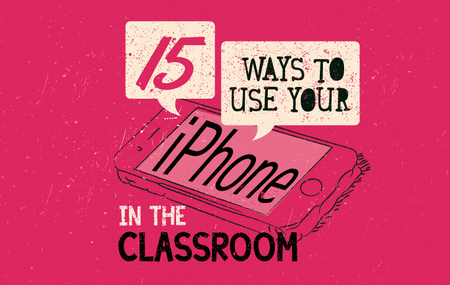 Have you used any of these techniques for flipping the classroom? Would love to hear about your awesome ideas in the comments below!